Shrewsbury Town have made their second signing from a Premier League club in 24 hours by bringing in Swansea City striker Jamie Proctor on loan. The arrival of Proctor, 20, follows Thursday's acquisition of Manchester City utility player Jeremy Helan. Both have signed on an initial month's loan, to include next weekend's FA Cup first round clash at Hereford. Proctor joined Swansea from Preston last summer but is yet to make his full first-team debut. "It's perfect for me," Proctor told BBC Radio Shropshire. "I've loved it so far being at Swansea, but it's been a bit stop-start and I need some games. "I need to prove myself to them and get myself back to where I was. 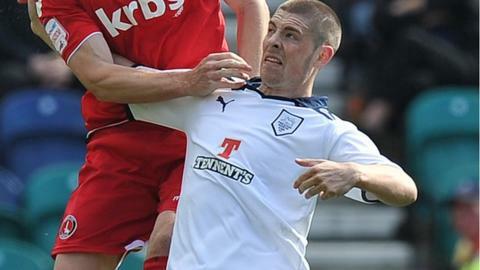 "I started well at Preston last season, scoring a few goals, but then got a bad injury. "And, when Swansea came calling in the summer, it was a real confidence boost."